Keep your garden in bloom all year round with the Purple Blossom Decorative Solar String Lights! Use these Purple Blossom Decorative Solar String Lights to further glam up your home, weddings, parties, and other events. 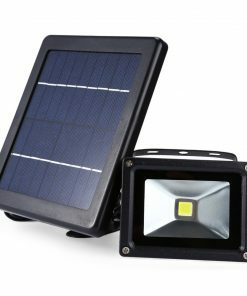 Boasting 8 to 10 hours of brightness when fully charged, these decorative solar string lights will make any place come to life at night. With a flashing and continuous light mode, there surely is one for your style! 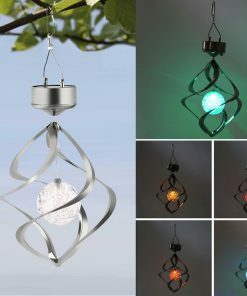 Its 7-meter string length will cover a wide area or a bush or tree. It can withstand any kind of weather as a result of superior quality waterproofing! 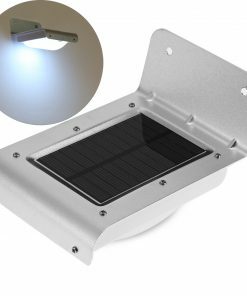 There is no need for wiring, it is easily installed and the panel comes with a 20 cm spike. Keep the panel in a well sunlit area and the blossoms will surely shine brilliantly whenever it gets dark. Buy yours now and never have a dull moment!